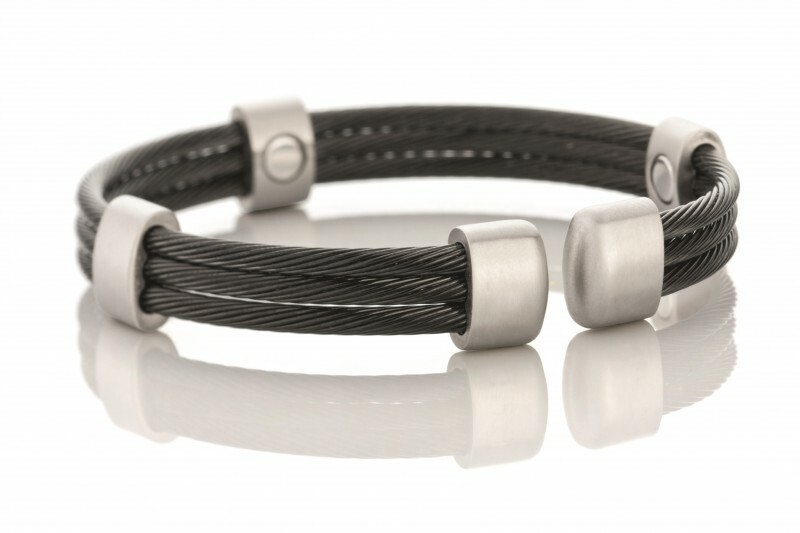 Three matte finished black cables are connected together and accented by five brushed satin stainless steel connectors, each containing a 1200 gauss magnet. Sabona chooses samarium cobalt magnets for long term durability and rust resistant qualities. 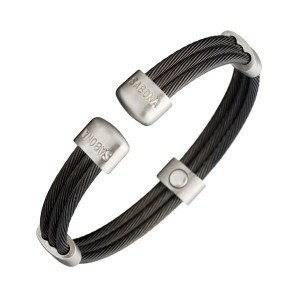 Material three twisted matt black stainless steel strings.Stainless steel links and endings adorn the bracelet. 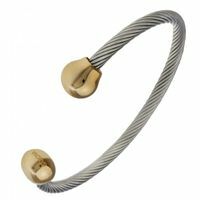 A new finish for the popular bracelet Trio Cable with black accents, each containing a 1200 Gauß magnet. 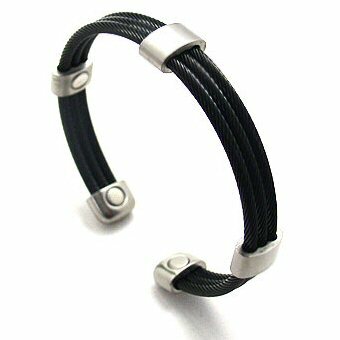 Magnetic products are considered unproven remedies and their action is controversial in regular medicine.